Monaco is a 2km long sovereign city-state on the Mediterranean Sea. Because it is bordered by France on three sides, Monaco is frequently referred to as the French Riviera. But Monaco is its own country, and geographically the second smallest in the world at that (Vatican City is the smallest). 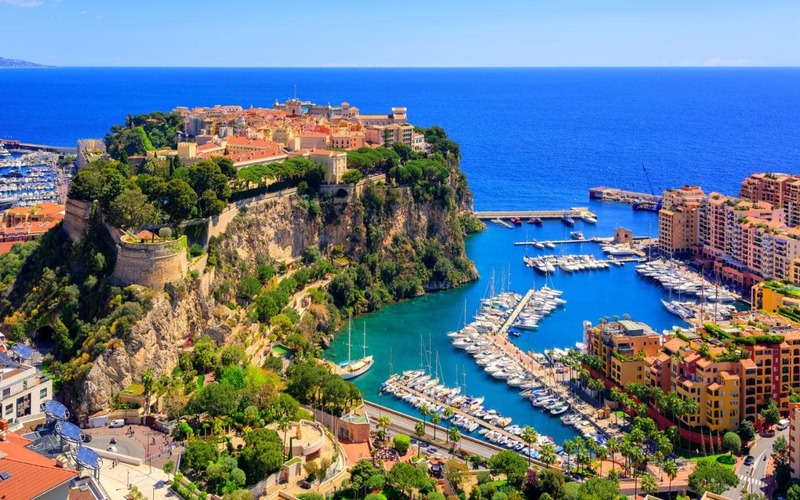 Its tiny size makes it possible to see the entire country in a weekend, including a gorgeous coast line of both sandy beaches and rocky cliffs, Belle Epoque architecture, and the winding streets that make up the Monaco F1 track. The principality is governed by a constitutional monarchy, with the Grimaldi family having comfortably ruled since the thirteenth century making them the oldest monarchy in the world. 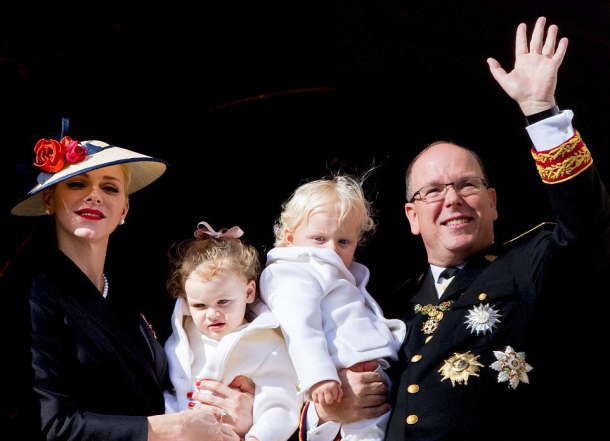 Monaco’s current monarch is Prince Albert II, the son of Prince Ranier III and American actress Grace Kelly. With a net worth estimated at $1 billion, Albert is one of the wealthiest royals in the world. Princess Charlene of Monaco and Prince Albert II. Source. 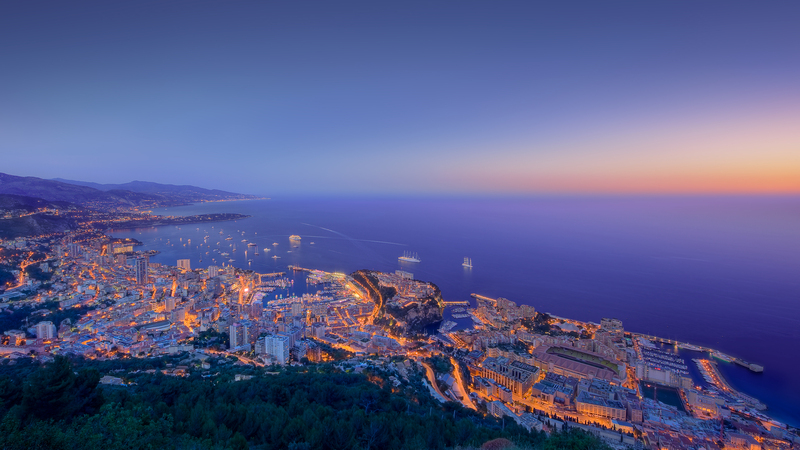 With a population of 36,000, Monaco is the most densely populated country in the world. And though the state does not release any statistics as to its GDP, it is estimated that nearly 2,000 of its residents are millionaires. While that number itself is impressive, there are also nearly 50 billionaires residing within Monaco. 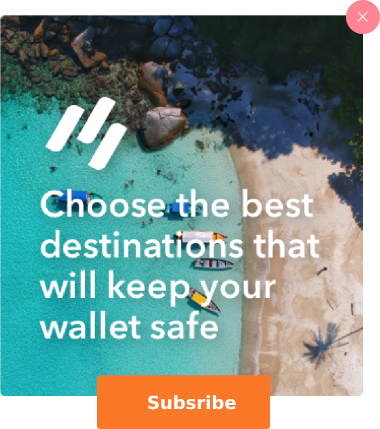 It’s not just the scenery that makes Monaco so desirable for the wealth, but also the fact that Monagasques don’t pay any income taxes. Instead, the city-state is capable of running nearly entirely off of the income generated by its famous casino. Living in such a wealthy and well-kept principality certainly has its longterm perks: the literacy rate of the country is a neat 100% and its citizens have an average life expectancy of 90 years. 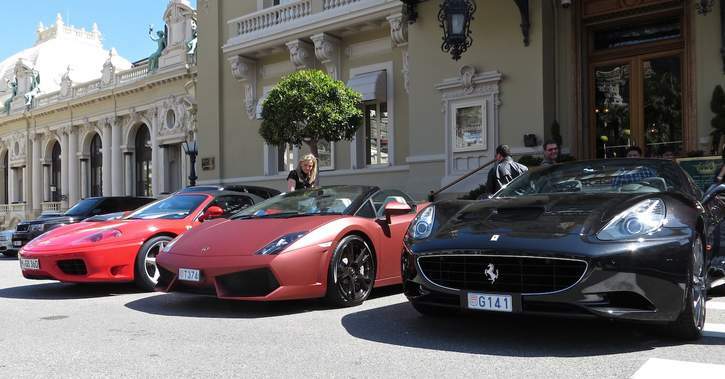 Expect to see tons of nice rides in Monaco, both at the Grand Prix and on the streets. Source. While anyone can visit Monaco, its appeal is certainly most potent (and accessible) for the rich and famous. F1 tends to draw the elite from Asia, the Middle East, and Europe, as well as many worldwide celebrities. 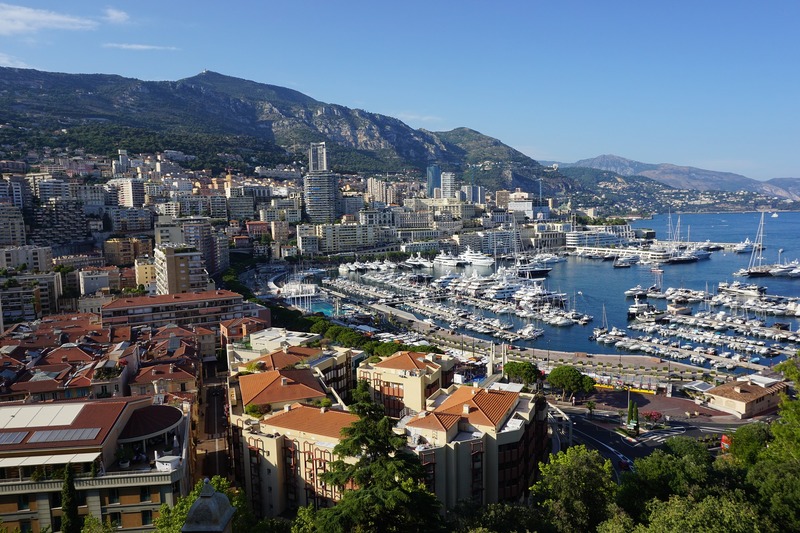 F1 drivers like David Coulthard and Olivier Beretta have properties in Monaco, and actors and musicians like Ringo Starr, Jay Z, Roger Moore, Rhianna, and Leonardo DiCaprio frequently park their yachts in Monaco’s Port Hercule. 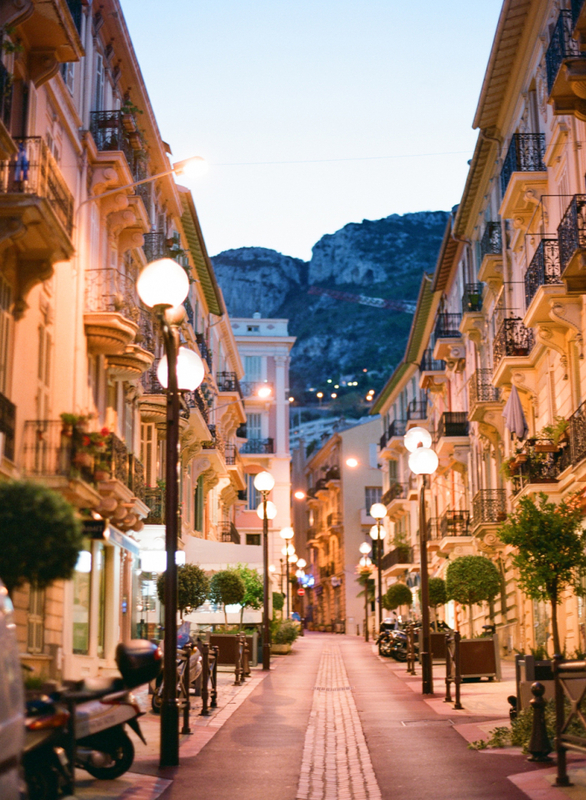 Despite its small size, Monaco has no shortage of sites to see and things to do. 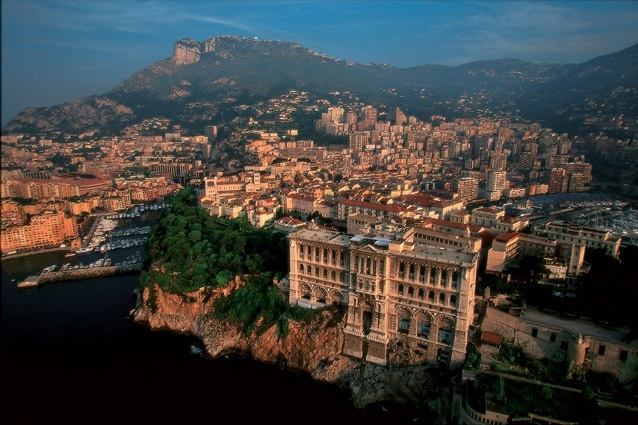 The Monte Carlo district is home to Monaco’s famous Casino, whose terrace boasts breath-taking views. The Monte Carlo is Monaco’s wealthiest district, so this area offers world class shopping, people watching, and Ferrari-admiring. When the Prince and his family are away, the royal apartments are open to tour for those who are interested in seeing how modern royalty lives. The Musée Oceanographique is a stunning building built into an ocean-facing cliffside that houses three aquariums. There are numerous outdoor gardens of exotic plants and flowers, entire neighborhoods built upon terraces, and a striking Roman-Byzantine cathedral that is the home of Grace Kelly’s tomb. The Musée Oceanographique is built into a cliffside. Source. Monaco’s geographical proximity to both France and Italy has led to delicious influences from both cuisines. And given the city’s attractiveness to those who enjoy and can afford life’s finest pleasures, there is no shortage of world-class fine dining in Monaco. This tiny country contains four Michelin-star restaurants, as well as countless other establishments. 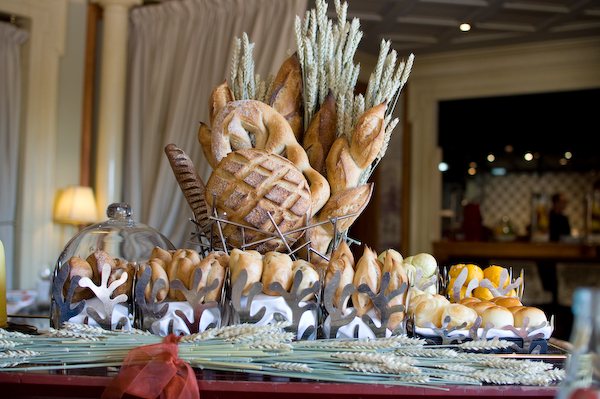 In Monaco, one can enjoy excellent seafood, cheeses, wines, and the freshest imported produce from around the world. Just be prepared to pay fine-dining prices for everything. Joel Rubechon is one of four Michelin-Star restaurants in Monaco. Source. Where is the Monaco F1 track? Every May since 1929, the whole city of Monaco turns into a race track. The track loops through the entire city district, and as early as a month in advance, barricades will appear along the city streets. But just because Monaco is small doesn’t mean that the race track isn’t long or challenging. The Monaco F1 track loops through the city’s hills and around many tight turns, doubling back on itself frequently. The track is narrow and includes many elevation changes. The course has changed drastically through the years, and can sometimes feature slightly different turns from year to year. 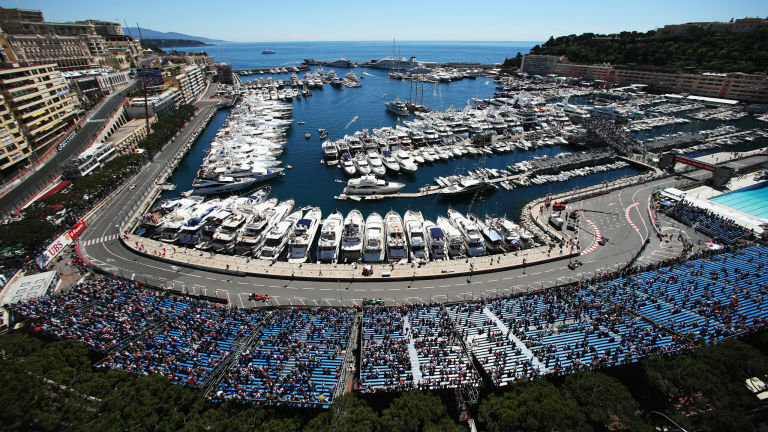 Thousands attend the Monaco Grand Prix every year, most of them watching in style in luxury. Villas overlooking the track will have balcony viewing parties. Yachts will line up in the harbor so spectators can watch from the sea. Many hotels and restaurants will host parties on their terraces. There are also public stands and viewing areas decked out with all sorts of luxury services, like massage chairs, food booths, and of course, lots of champagne. 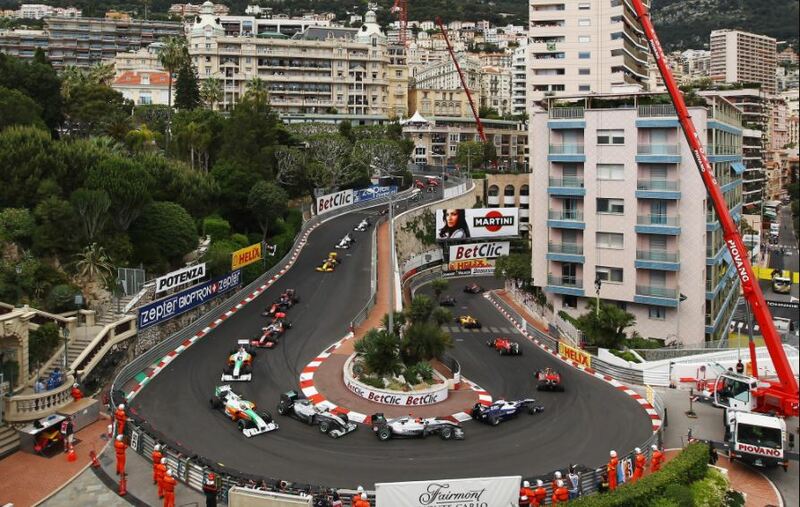 The Monaco Grand Prix is an incredible spectacle of elite sport and cosmopolitanism. Such a dense gathering of the rich and famous is usually just reserved for award ceremonies, but the Monaco Grand Prix provides the unique opportunity to see how the rich and beautiful spend their downtime. A treacherous track in a breath-taking setting replete with spas, casinos, and world class dining makes a trip to the Grand Prix the perfect mixture of exciting and utterly luxurious. If you’re ready to experience the most fabulous vacation of your lifetime, inquire about our Monaco Grand Prix travel packages today.